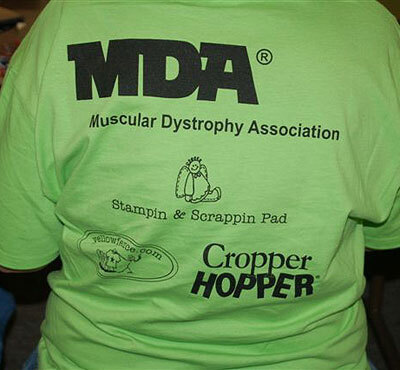 Yellow Fence was proud to help sponsor shirts for a crop to benefit the Muscular Dystrophy Association. The crop was put on by the Stampin & Scrappin Pad in Marion, Iowa. 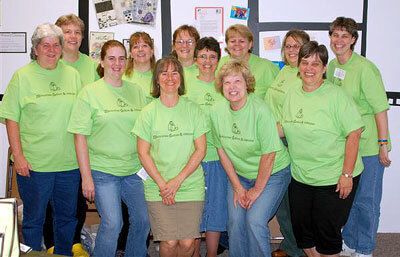 We designed a custom Yellow Fence Scrapbooking T-Shirt for them that said “memories define a lifetime”. Over 100 people participated in the crop and all the money raised was donated to the Muscular Dystrophy Association.